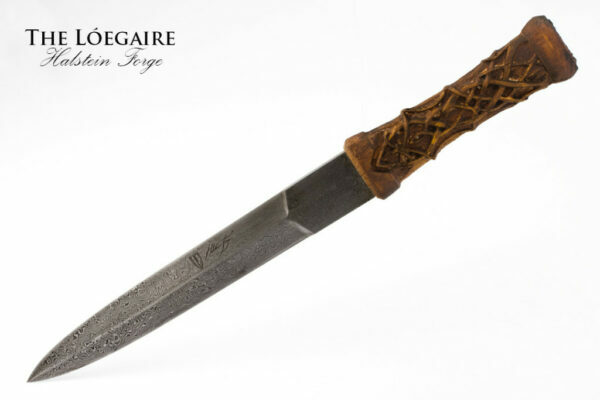 The Loegaire is forged with a blend of 1075 and 8670m steel, giving a stunning contrast to the folded steel layering. 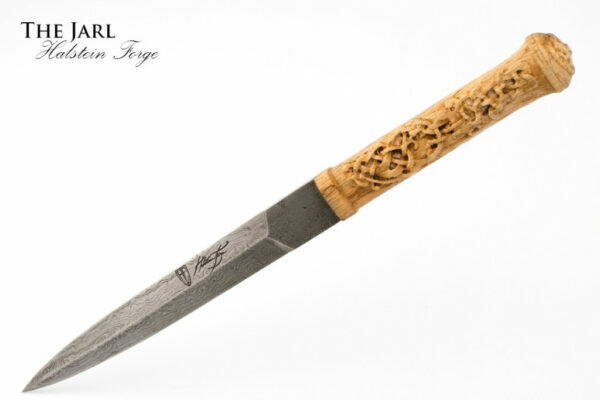 The name Lóegaire is an Irish Gaelic name of peculiar origin. 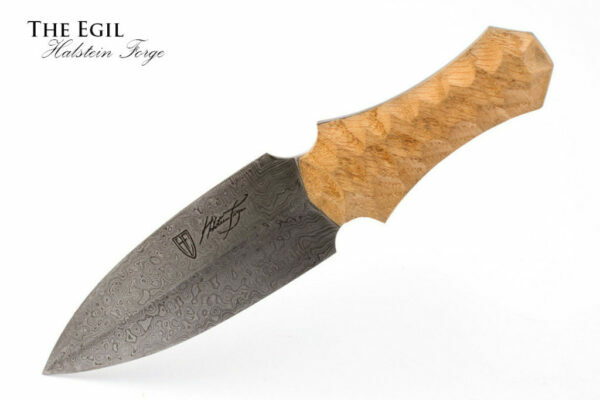 Several prominent figures in Irish history bore the name, most notably several of Ireland’s High Kings – Lóegaire mac Néill, for example, who was High King of Ireland during the time of St. Patrick and had two daughters who were converted to Christianity by the saint. 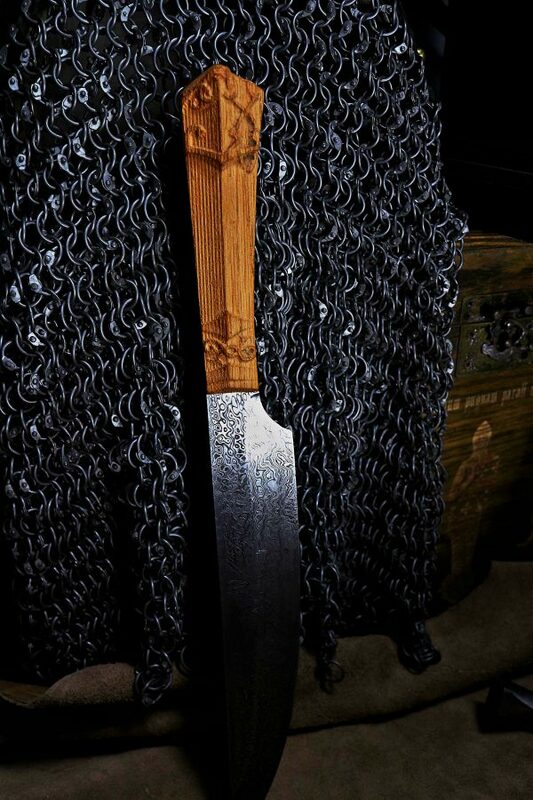 What makes this so strange, though, is the figure from ancient Ireland who bore the name prior to those famous kings. 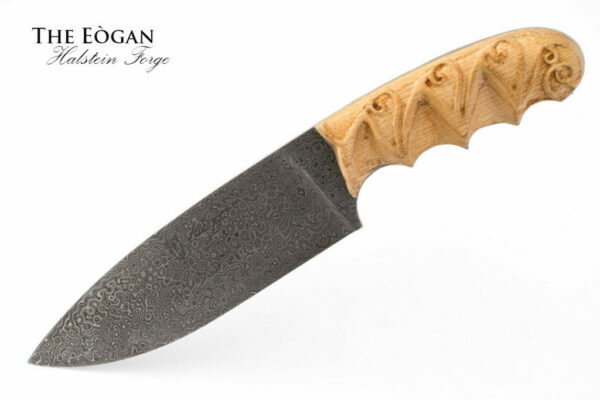 Likely the most known historical figure with the name is Lóegaire Búadach, called Lóegaire the Victorious, from the Ulster Cycle – a collection of traditional Irish tales and folklore. 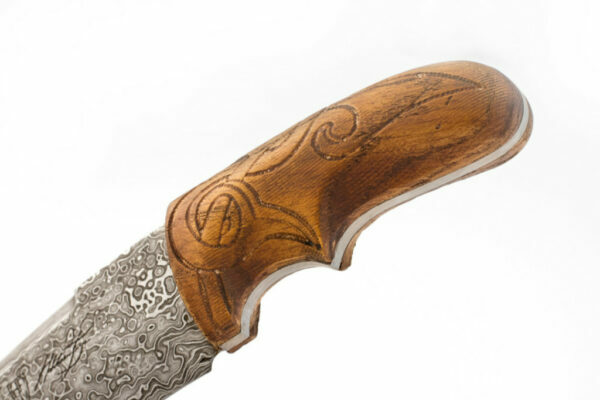 Unlike many other figures in the tale Lóegaire Búadach appears in the story as almost a comic relief figure – always seeming to come up short when it counts. 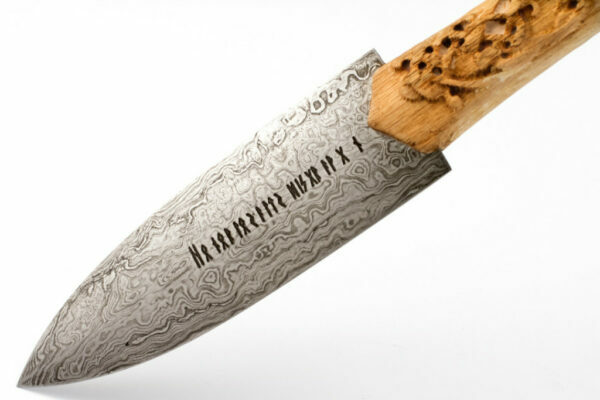 The story of his death seems to fit with the character’s down-on-his-luck idiom – while rushing to the aid of a condemned man, he strikes himself a mortal wound on the frame of a door. 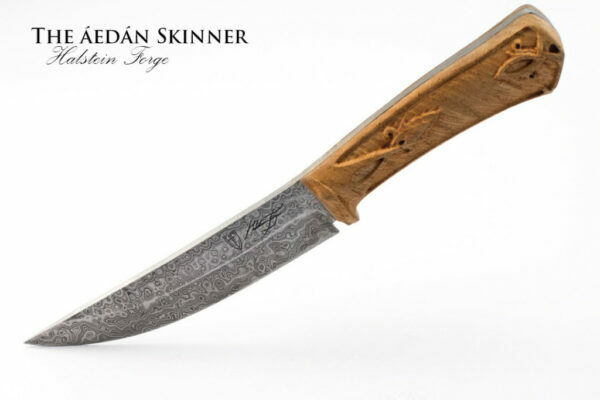 Still – Lóegaire Búadach manages to kill thirty men and rescue the condemned man before he succumbs, so perhaps it is not so ignoble an end after all. 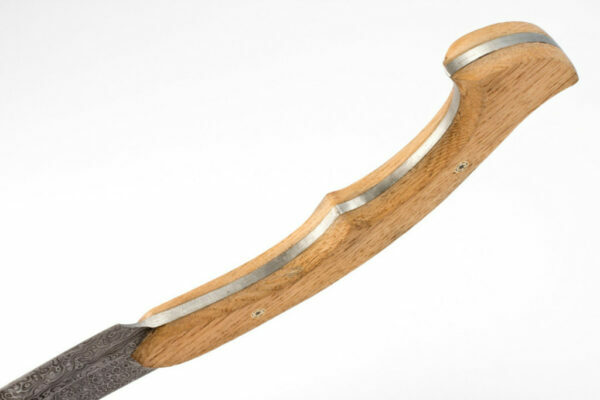 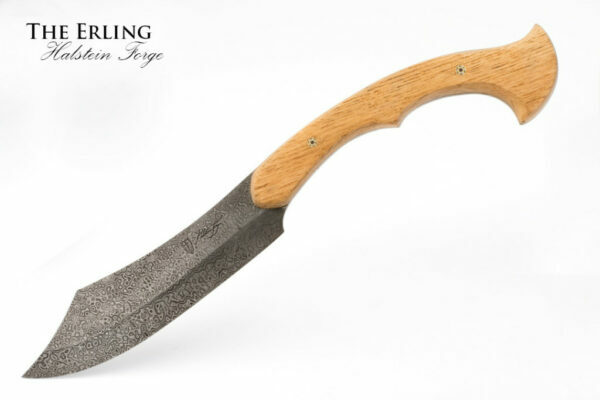 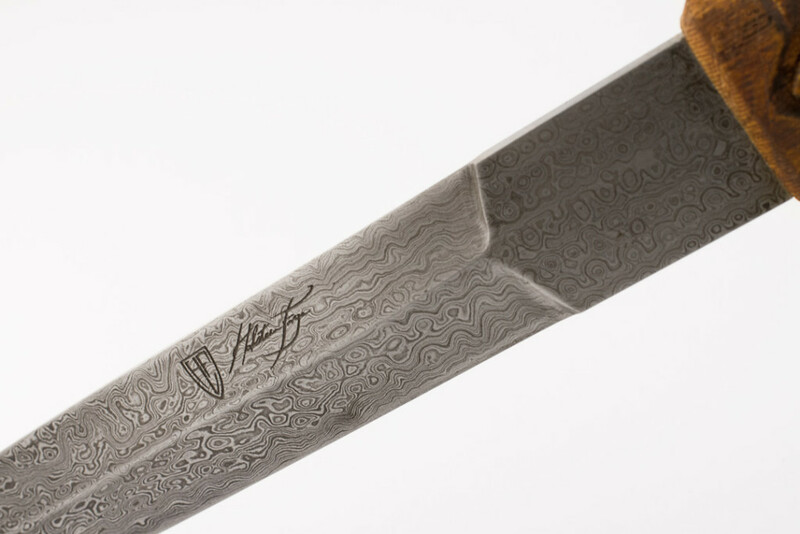 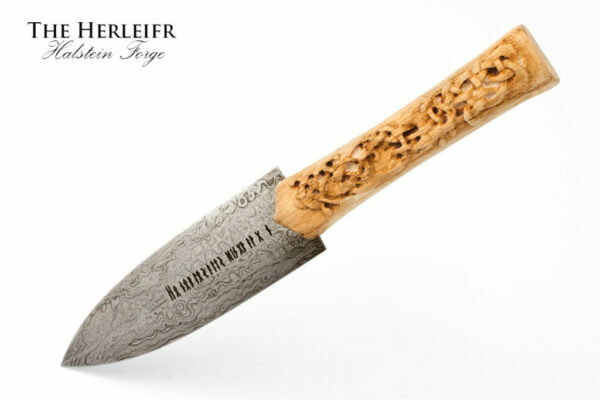 The Halstein Forge Lóegaire is the definitive Celtic dirk. 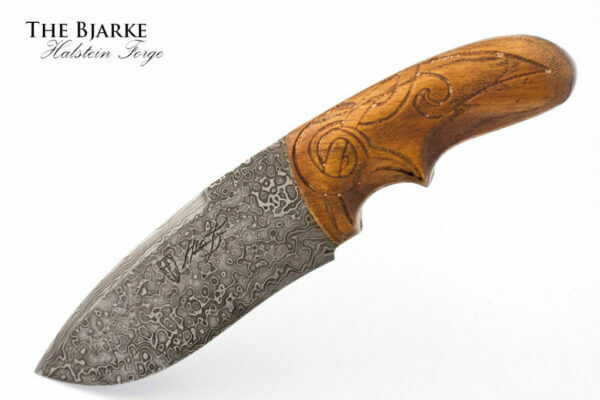 The handle is carved with knotwork, inspired by Celtic designs as well as the artwork in the Urnes Staves Church. 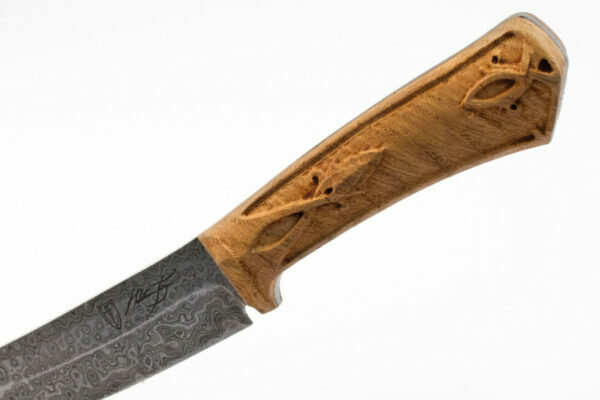 The oak handle is stained dark, which is common for knives from Celtic cultures. 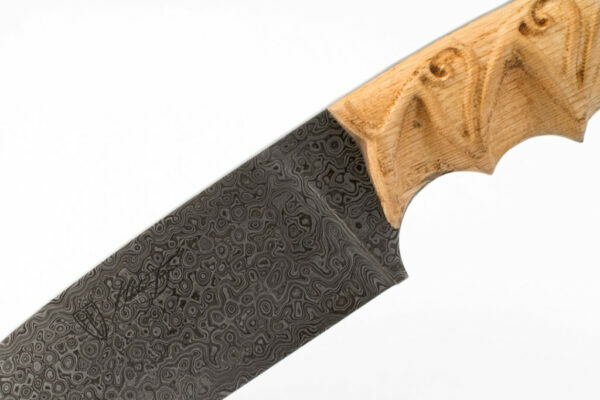 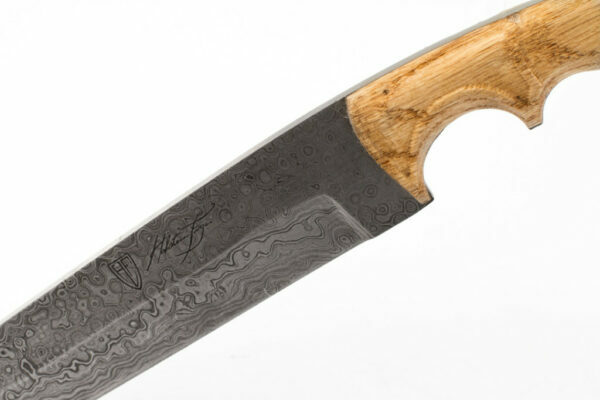 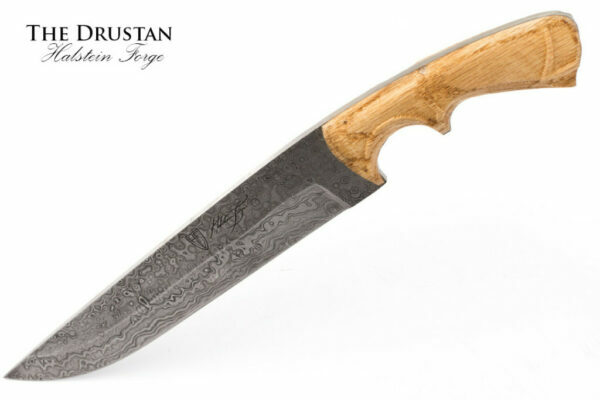 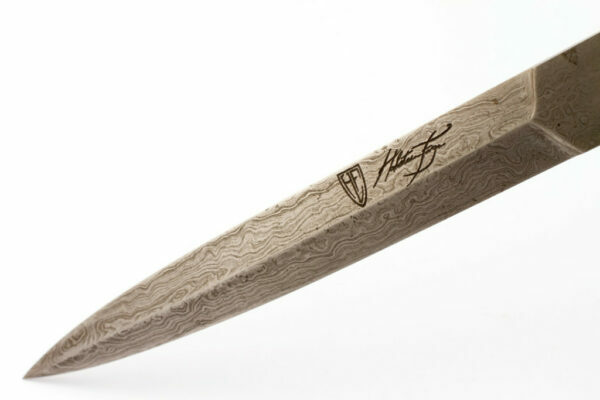 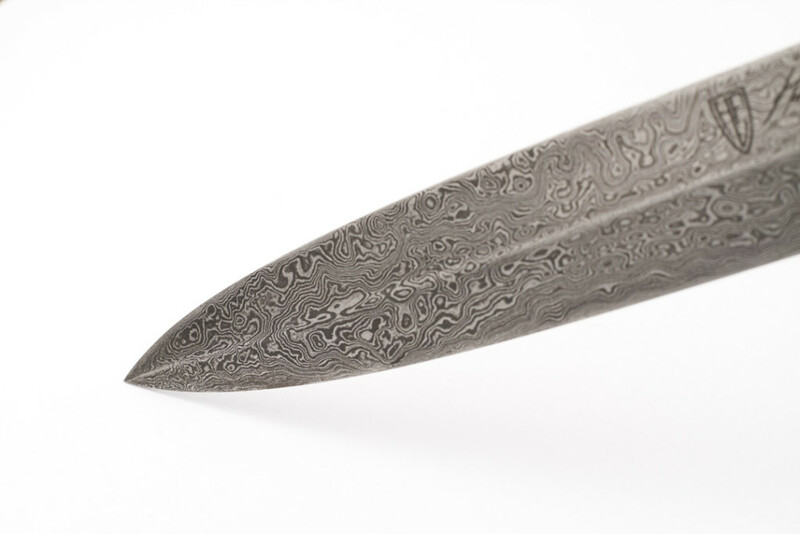 The double edged blade has a short, thick ricasso, and is made of our Damascus pattern-welded steel. 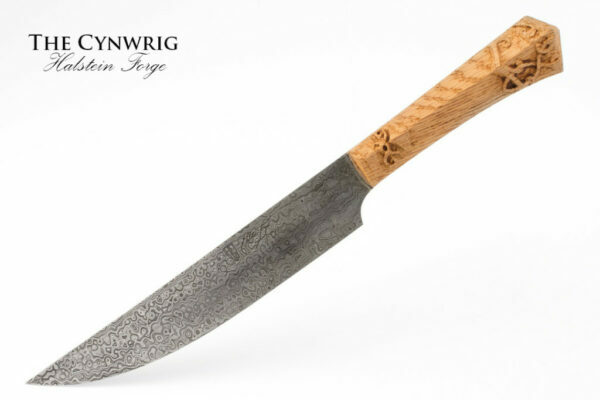 Lóegaire Búadach and the Irish High Kings who came after him may not have carried this knife, but if they came across it they would surely recognize it as a worthy companion.